HAHA!!! I definitely think the saaaaame thing when it comes to biscotti (especially since I'm a "super-soft, chewy cookie" fan) - but kudos to you for still making (and liking!) this lovely biscotti variety!! Yum!! its weird how so many people have bad impressions of biscotti. They are actually reallie lovely. Not sure about the cornmeal though. Still feeling a little sore from the look of all biscottis.. but oh well..
yours look divine. And i'm glad you liked them! 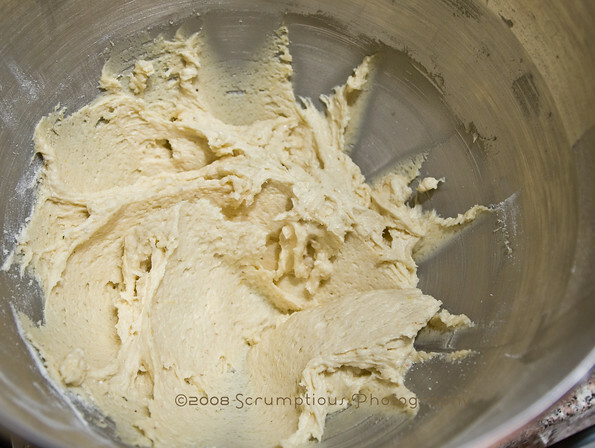 you know, these are good as (1) raw dough, (2) baked once, and (3) baked twice. i guess you can't go wrong with these, no matter what. 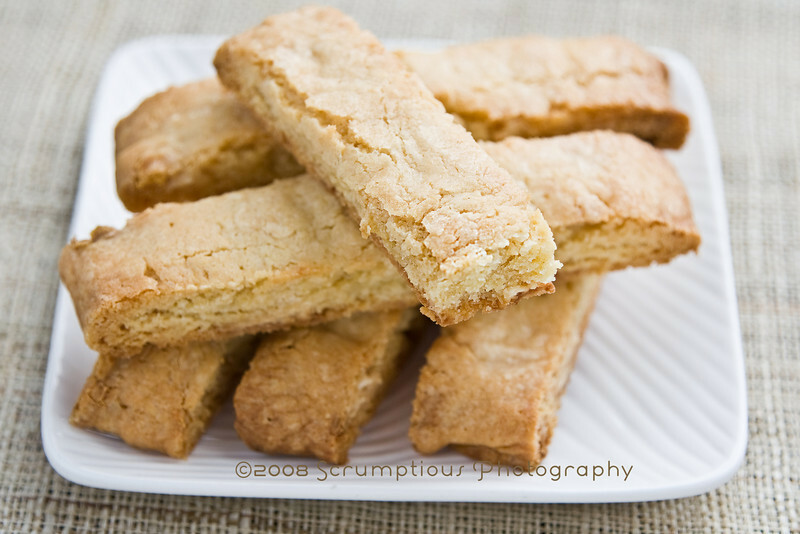 :) your biscotti look so yummy! Your biscotti look amazing! My first batcht turned out to be blegh... I did something wrong! So I'm going for a second batch tonight! I hope you never tire of hearing me say the word gorgeous. Because I'm going to say it again. Gorgeous! As usual... I'm in awe of your pictures ...and to think that most of everything must also be... delicious! BRAVO! These look wonderful and I am so glad you ended up enjoying these. One of my friends also prefered the once-baked version of them instead of the crunchy ones. Thanks for baking them! 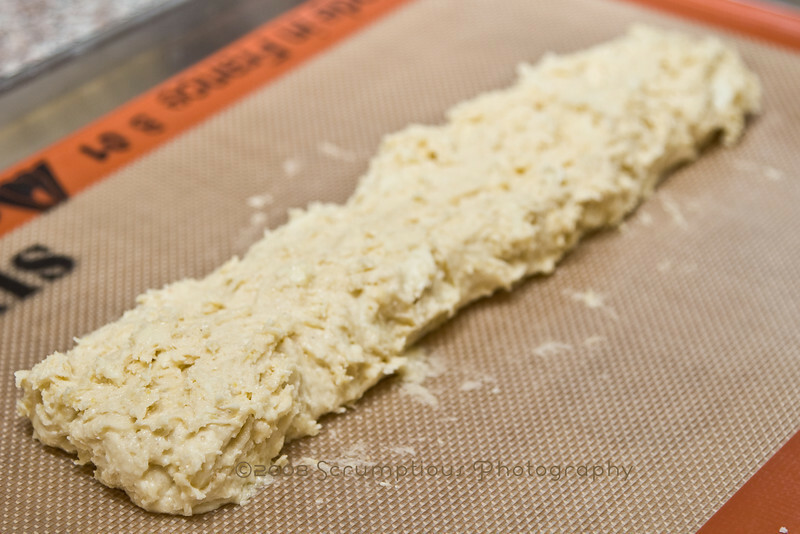 I ate the ends off my first bake log and I gotta say he knows what he's talking about, those parts were pretty great. Those look wonderful, and I'm glad you found a twice baked treat you liked so much. Did you say white chocolate?? I want that! I liked the once baked myself but T is a biscotti fan so he really enjoyed this recipe. To each their own right? Love all your pictures as always! White chocolate would have been very tasty. I am not a huge biscotti fan either but found these very tasty. I think the corn meal makes them easier to bite into. Those look lovely, and I really like the idea of white chocolate - I'm crazy about the stuff! 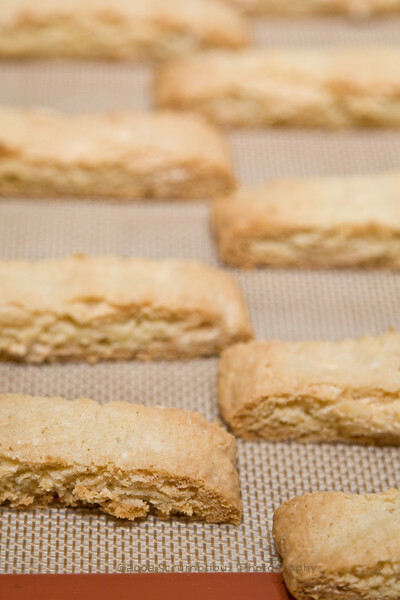 Oooh -- your biscotti are gorgeous! The beautiful thing about them is that you can serve them right after the first bake if some prefer them that way! We won't tell! I liked them after the first bake, the second bake, and the unexpected third bake. I love the white chocolate addition! Your biscotti are beautiful! Much nicer than my crumbs!!! Your pictures won't come up for me. I am thinking the second bake needs to be much shorter, and therefore a softer cookie. 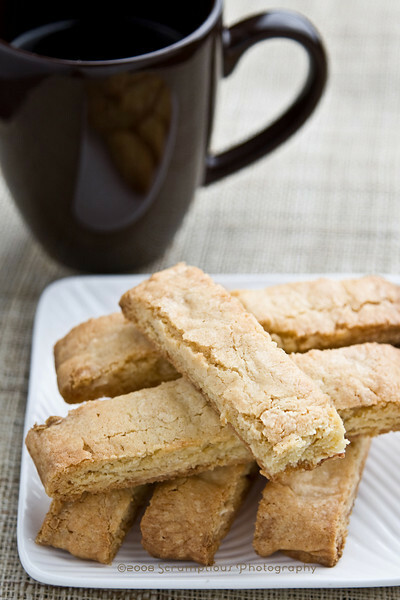 Those are excellent looking biscotti and fabulous photos! Love your pics, and I think using white chocolate is a great idea! The ends were the BEST part! A is on to something! And your biscotti look gorgeous! Mmmm, white chocolate sounds like a great idea! Yours look fantastic! I have to admit, they are great right out of the oven after the first bake. I don't like super hard cookies, either! ur photography looks absolutely scrumptious! especially the first picture! They turned out beautifully. I love the name of your blog, it really fits your pictures! Your biscotti look delicious. I'm beginning to think maybe I overbaked by around 5 mins as I did not get a nice chewy center. wow Kim, your photos are truly scrumptious! Your photos are notably beautiful. I appreciate your kind comment and thank you for stopping by for a visit. Your biscotti is beautiful. 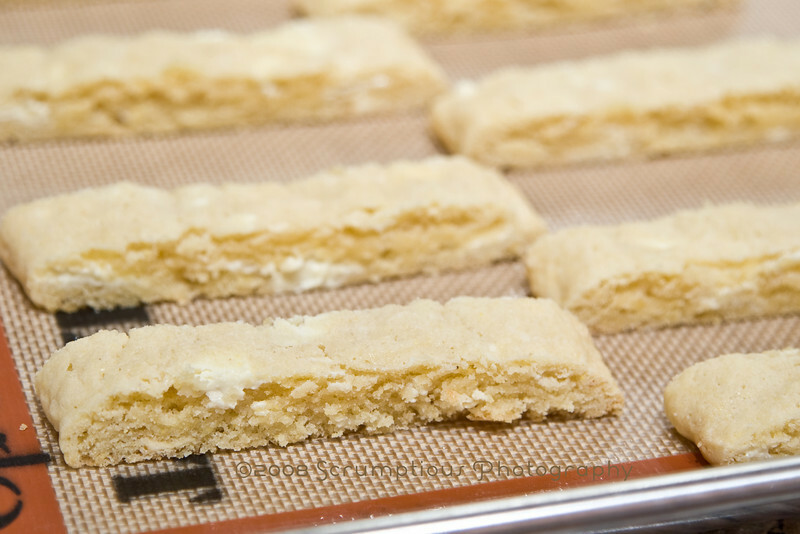 Being one of the bakers who "thought" she didn't like biscotti, imagine my surprise when I fell in love with them. So glad we got to make these before Christmas, huh? Gorgeous! 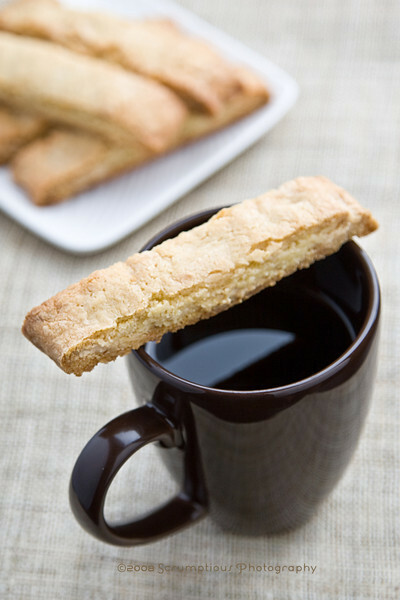 Love the first shot of the biscotti over coffee. Fantastic! These look so yummy and ready to dunk! Love that first photo. You have such a lovely way with photographing, styling, and describing your food each week that it is a joy to visit and see it all. Great job...food looks wonderful! i got flat ones, too, but they were still great! rugby season--you'd love australia...very into their rugby! 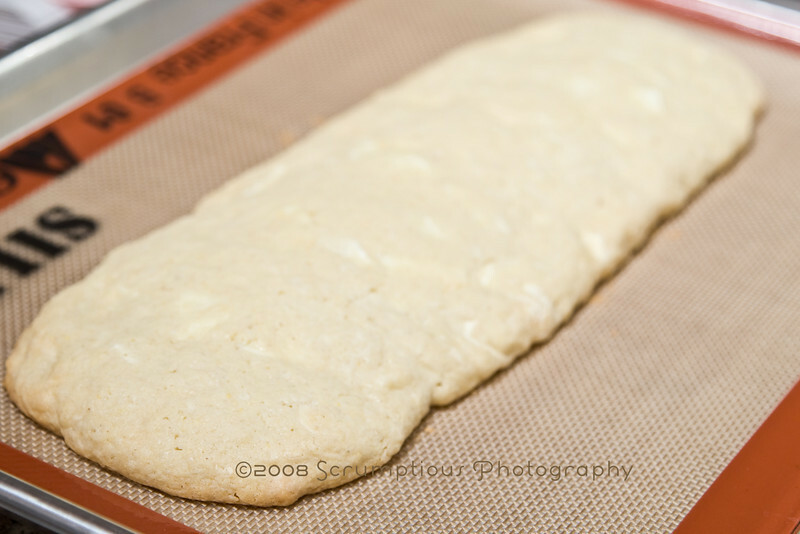 Your biscotti turned out perfectly! They're beautiful! I felt the same way about them before I tried these. Now, I'm a convert! @chocolatechic, sorry the pics don't work for you! try reloading the page, or clicking on one of the pics -- maybe you can see it in my smugmug gallery. Your pictures continue to amaze me! They are GORGEOUS! Halving the recipe was a good idea...so were the white chocolate chunks! Can't go wrong with that! Oh my goodness, yours are picture perfect! I'm glad you ended up liking them... they were delish, I agree. This recipe definitely erased my doubts about biscotti; TWD is so good for turning negative to positive! Yours look so pretty. Now I'm starting to think mine should have spread more! This was a great recipe wasn't it. Not too hard, not soft. Yours look fantastic. Your biscotti look great. I love that first picture. This recipe was a winner. Great looking Biscotti. I love all of your pictures. Have you made the pumpking muffins yet? They are so good..Im glad there wasn't a recipe on the page next to it! I would hate to make the wrong one again! Glad you liked the biscotti! Yours look great - wonderful photos! I really like biscotti but I agree with A, the first bake cookie was delicious! Great job! They look fabulous! I'm glad you liked them after making them yourself! That dark coffee with a biscotti next to it looks so inviting! Your biscotti and your pictures look great! Love the blog- just wanted to let you know I linked you!